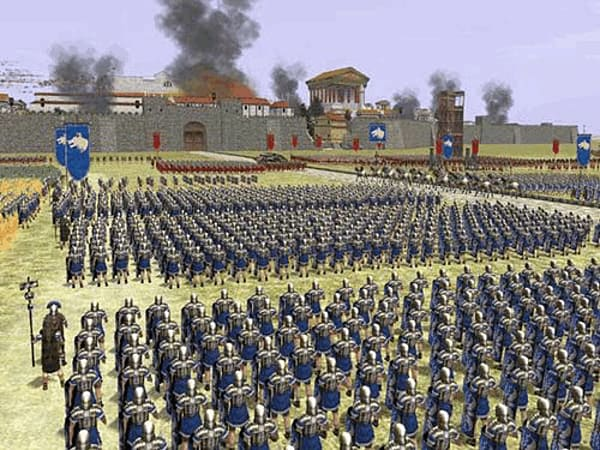 Rome: Total War is an epic-scale strategy game that invites you to experience the grandeur, glory and brutality that was ancient Rome. 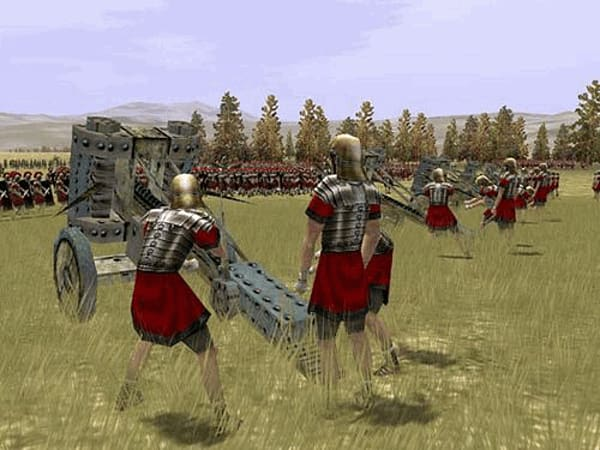 Encompassing three centuries of warfare from the Punic Wars to the death of Augustus, the game captures the excitement and challenge of conquering and ruling the Roman Empire. Using military might, diplomacy, subterfuge and assassination, this is a struggle to reach and retain the Imperial throne. 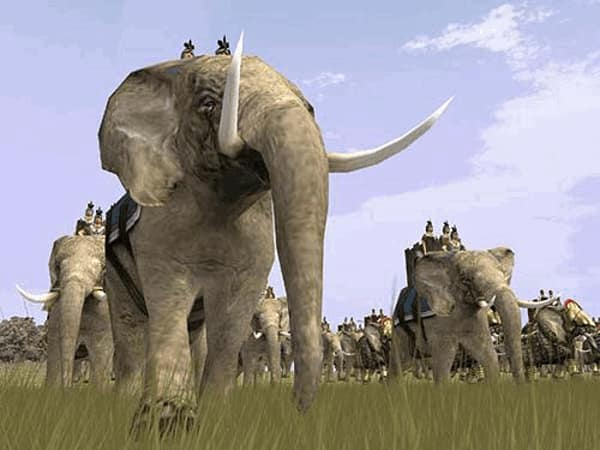 Featuring next-generation gameplay potential-including the ability to command armies of thousands at once during cinematic real-time 3D battles - this is a game of total involvement, total commitment - and total war. 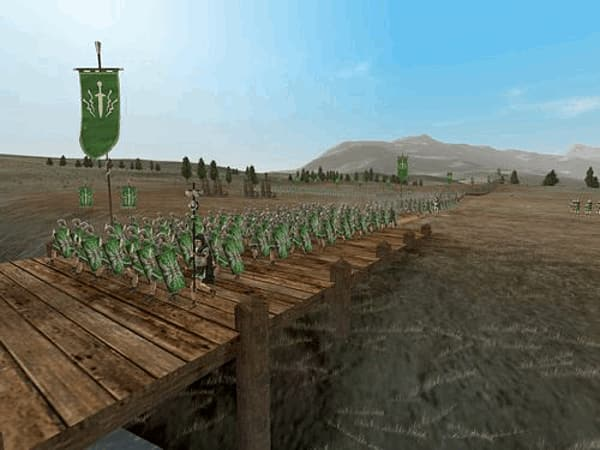 The Rome: Total War also includes the Rome Total War - Barbarian Invasion expansion pack, moving the action on by over 350 years, to the end of the Roman world. The Empire had changed in that time and was now Christian and not entirely Roman. The army was largely manned by "barbarians" and the Empire itself had split in two. The western part was to be crippled by a series of poor emperors, bad administration, civil unrest and large scale migration by barbarians into Roman lands. Eventually, as the money ran out, the Empire's forces were withdrawn from the outlying provinces and the locals were left to fend for themselves. 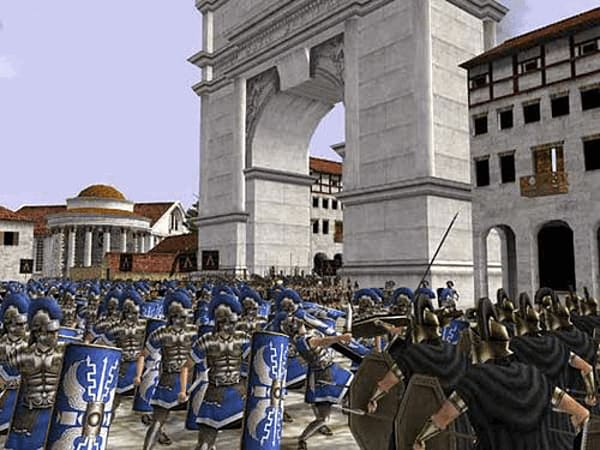 The second expansion for Rome: Total War, Alexander is set much earlier time period than the original game, beginning in 336 BC. The expansion plays much the same as the original game but with a new map and different units. The player takes on the role of Alexander the Great during his thirteen-year reign, beginning with his ascension to the Macedonian throne. The game allows Alexander to live longer than the 33 years of his actual life and the campaign’s completion depends on the player conquering 30 provinces within the 100-turn limit. 64MB Hardware Accelerated video card with Shader 1 support and the latest drivers.